The Amok Mind blog has been updated with Charlie X.
Ive just created two Patreon pages. a new interdisciplinary libertarian academic journal, the Molinari Review. The other is a per-post pledge page for my four science-fiction/fantasy blogs: on Star Trek, The Avengers (the UK one, not the Marvel one), Danger Man/The Prisoner, and the Oz books. These posts will also be collected as books. Details here. Pledgers will have opportunities to get advance content, free signed books, and the chance to influence the order in which I tackle the various projects. You can pledge as little as a dollar per month (for the books page) and/or a dollar per post (for the blogs page). Any help is appreciated; I have a lot of cool stuff I want to accomplish, but am in tight circumstances financially (and my home computer is on its last legs). 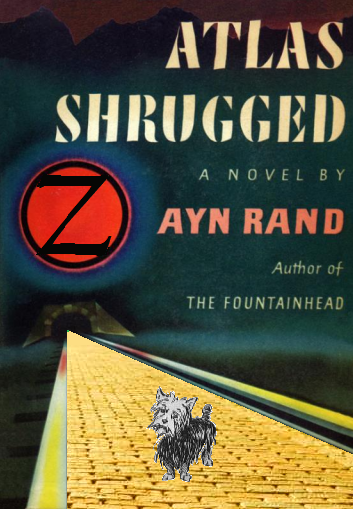 Ayn Rand, Iain Banks, J. R. R. Tolkien, Edgar Rice Burroughs, H. Rider Haggard, Nathaniel Hawthorne, C. S. Lewis, Frances Hodgson Burnett, and Dr. Seuss … in Oz!